Please visit these awesome fantasy football and sports related sites below! If you would like to get listed on this page, sorry, but we add links at our discretion and do not respond to requests! http://nfl.com – of course, they are listed here! 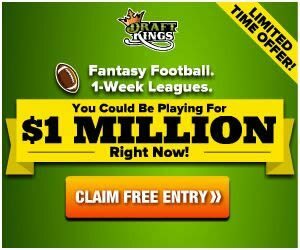 DraftDuel – free DFS picks to help you win. Is FanDuel Legit? – find out at LegitOrScam.org. NFLWeather.com: every weather forecast, updated twice an hour, for every game every week. RotoRob.com – Fantasy sports analysis with an edge. http://mobilebettingapp.co.uk – reviews top UK/Euro betting apps and mobile sites.